Anita Ikonen, a Swedish national, describes herself as a medical intuitive, claiming to be able to detect medical information about a person by simply looking at them. She runs a website called Vision From Feeling which documents her abilities, and her attempts to test them. Anita also describes herself as a skeptic. As a result of her skepticism Anita agreed to have her abilities tested by the Independent Investigations Group – a test that she didn’t pass after failing to name the person missing a kidney out of a number of volunteers. She also failed a similar test conducted by the James Randi Education Foundation at The Amazing Meeting 8 in Las Vegas. Hayley and Marsh spoke to Anita to find out more about her alleged abilities, the tests, and whether her past failures have made her reconsider whether she has supernatural abilities or not. Rheumatoid arthritis, mutant fish, firm tomatoes and magic mistletoe. Plus Blue Monday, Rudolf Steiner, copper insoles and Jeffrey Dahmer’s cardigan. Stopping kids from using the computer, it’s Skeptics with a K.
Coming soon – Be Reasonable! Next week sees the launch of a new monthly podcast from the Merseyside Skeptics Society, featuring Hayley Stevens and Michael Marshall: Be Reasonable. Each month, we’ll be speaking to people who believe in ideas and theories that run contrary to the mainstream scientific and skeptical worldview, in order to examine how such beliefs are constructed and what evidence people feel supports their case. Be Reasonable is about approaching subjects with respect and an open mind, engaging with people of differing viewpoints in an environment where debate is polite and good-natured, yet robust and intellectually rigorous. Episode One features an interview with Anita Ikonen – a Swedish national who describes herself as a medical intuitive. Anita believes she can detect medical information about a person by simply looking at them. She runs a website called Vision From Feeling which documents her abilities, and her attempts to test them. 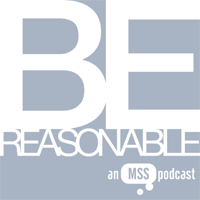 You can find Be Reasonable at the Merseyside Skeptics website, on iTunes, follow us on Twitter and Facebook, and you can get in touch with the show by contacting reasonablepod@merseysideskeptics.org.uk. We look forward to exploring the other side of skeptical issues with the people who strongly believe them, and we hope you’ll join us. 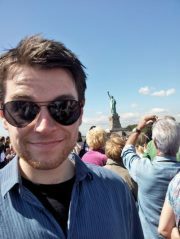 Skeptics in the Pub: tonight! In a last-minute change to our scheduled programming – this evening’s talk will now be presented by Dr Geraint Parry on the “Future food: Why GM is Important!”. NOTE: This event replaces our advertised talk from Andy Lewis on Steiner Schools, which has unfortunately been post-poned due to circumstances beyond our control.